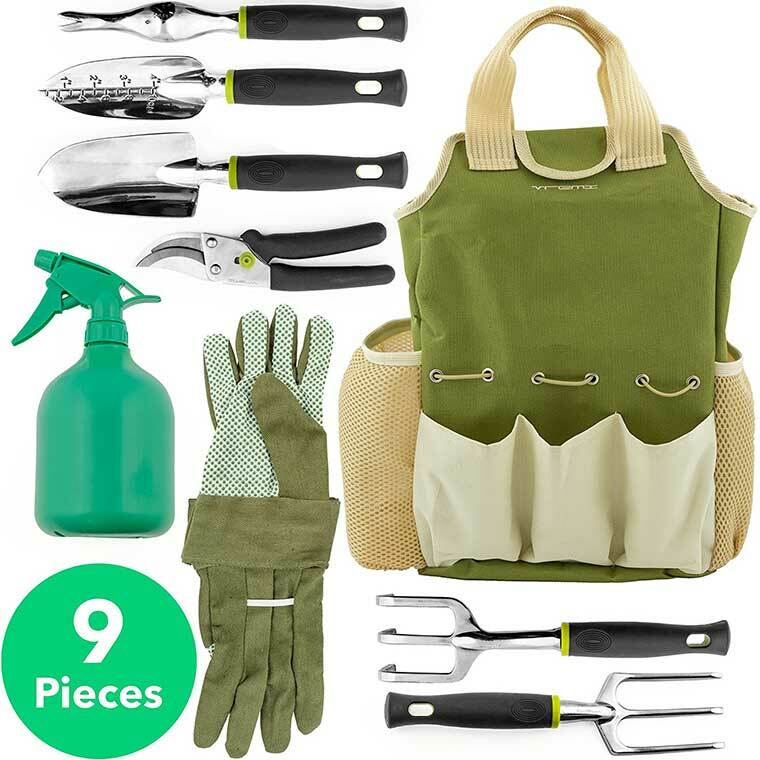 The Vremi 9-piece gardening set comes with all the gardening essentials, including a transplanting spade, trowel, rake, cultivator, weeder, pruner, sprayer bottle, tote bag, gloves, and more! The storage caddy has a convenient carrying handle and keeps all the tools in one place. 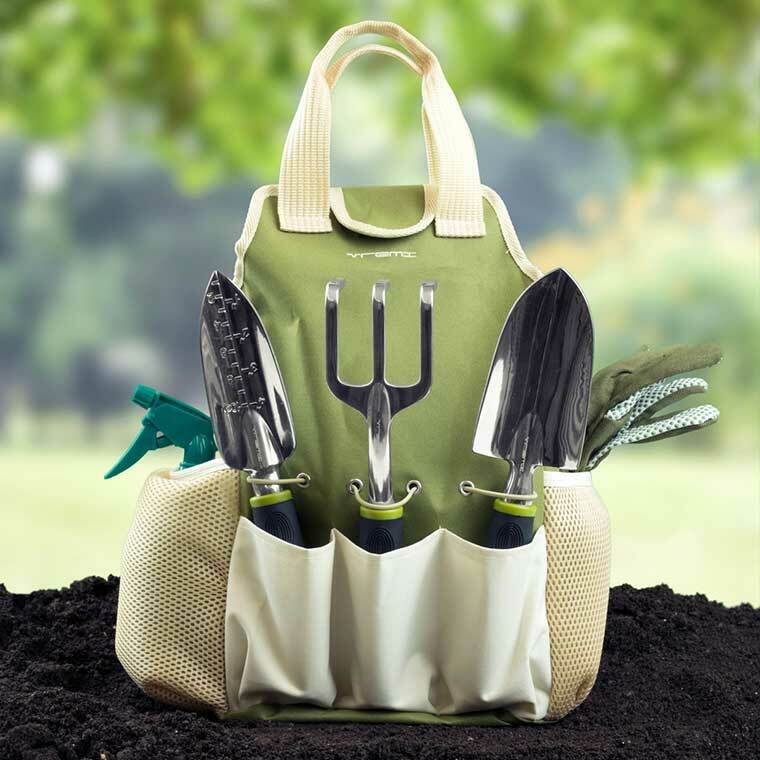 This 9-piece garden set comes with a convenient bag to hang up or carry with you while you’re gardening. It comes with 6 hand tools, including a rake, weeder, pruning shears, transplanter, and more. It also comes with useful accessories like work gloves and a watering spray bottle.